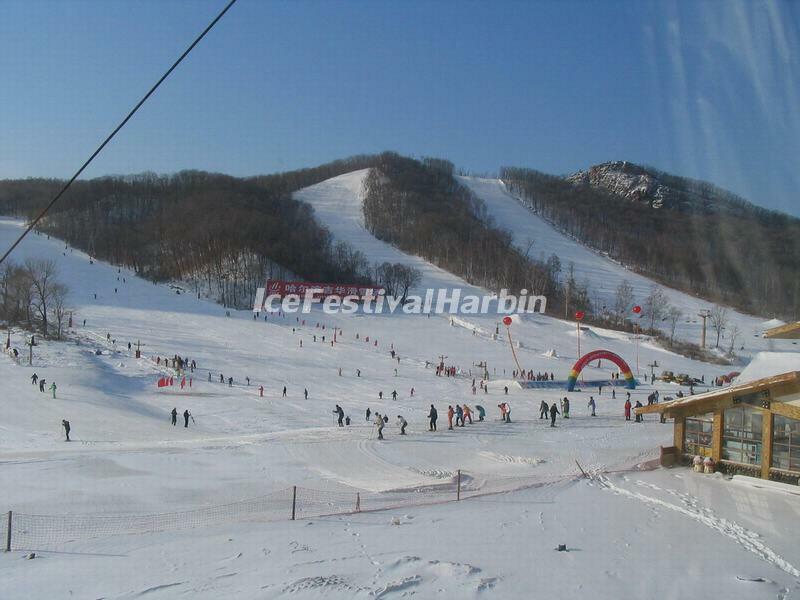 Jihua Ski Resort is also known as Jihua Changshou Mountain Ski Resort. 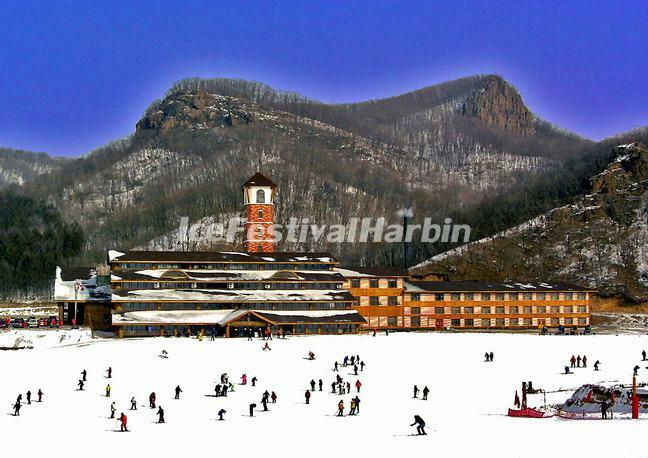 Located in Binxi National Forest Park, it is the nearest SSSSS-level ski resort to Harbin downtown (38km). This national ski resort is built in a natural basin and surrounded by mountains, the towering peaks snake around and enclose the resort forming a natural wind-sheltered heaven. The resort has 15 different ski slopes, which in total cover a distance of 30 km, cater for beginner, medium and advanced-level skiers. The resort has a ski school, which offers more than 100 professional skimeisters. The resort is the only training base for National Youth Skiing Team. The resort area gets heavy snowfall, with about 150 days of snow every year. It can receive 5,000 people at the same time. It is an ideal place for cross-country skiing. Jihua Service Center combines the functions of equipment rental, catering, accommodation, entertainment and conference. The 4-star hotel can accommodate about 300people with its 66 guest rooms, including 4 deluxe suites, 43 standard double rooms, 9 quad guest rooms and 10 triple guest rooms. The service center's dining facilities can serve 2,000 guests at one time, with large dining halls and private dining rooms. In addition, the center can cater for conferences of all sizes, with the biggest conference room of seating capacity of 1,000 people. •If you travel with kids, consider taking lessons or having them participate in lessons to learn the proper way to ski/snowboard and use the lifts. •Learning the length, width, height and the directions of the trail. When getting into troubles, try to do something that can help. •Choose the proper trail according to your skiing ability. •Maintain control. Ski/snowboard under control and in such a manner that you can stop or avoid other skiers/snowboarder or objects. If you are uncertain about the front, hold your horse. Excessive speed is dangerous! •Keep some distance from other skiers/snowboarders. Don't run after each other. •Don't stop at the steep slope while skiing/snowboarding. •If you unfortunately fall down, lower the center of gravity and keep balance. •Warm up slowly and prepare yourself for skiing/snowboarding, both mentally and physically. Begin each run slowly until you are familiar with it. •If a ski/snowboard slope is beyond your ability or conditions become unsafe, take off your skis and side step down the hill. •Stop skiing/snowboarding before you become too tired. •Be aware of the snow conditions and avalanche warnings. •Make sure the equipment is well maintained and appropriate for the age and ability of the user. •If you are involved in or witness a collision or accident you must remain at the scene and identify yourself to the Ski Patrol. •When using Ski/snowboard lifts, learn how to get on and off safely. Never push to get on. Consider asking the attendant to reduce the speed of the lift if getting on and off with little children. Always lower the bar on chair lifts. •Avoid scarves, loose clothing and tie up long hair that can get caught in ski/snowboard lifts. •You must not stop where you obstruct a trail or are not visible from above. •When entering or merging onto a trail or starting downhill, yield to others. •All skiers/snowboarders shall use devices to prevent runaway skis. •Observe all posted signs and warnings. Keep off closed trails and out of closed areas. 08:30 Pick you up from your hotel. 10:00 Enjoy skiing or snowboarding. 13:30 Enjoy self-pay activities, such as snowmobile, flying disc, dog-sled, snow football and so on. 10:00 Check into your hotel and then enjoy skiing or snowboarding (self-pay). 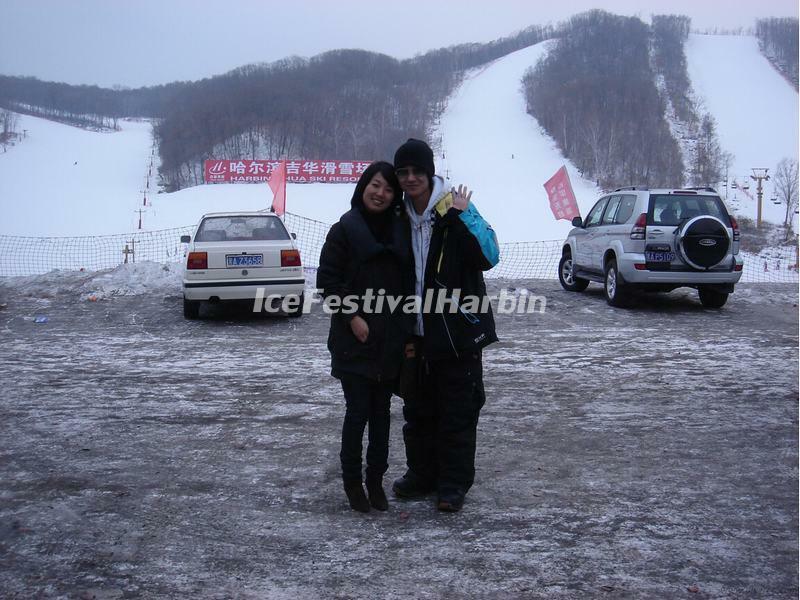 9:30 Enjoy self-pay activities, such as snowmobile, flying disc, dog-sled, snow football, ice top and so on. Tour inclusion: private car transfer, entrance ticket, meal, accommodation.